Synopsis:It's a year of bold new beginnings as Seattle's favorite doctors return to the hospital for the biggest challenge of their lives. 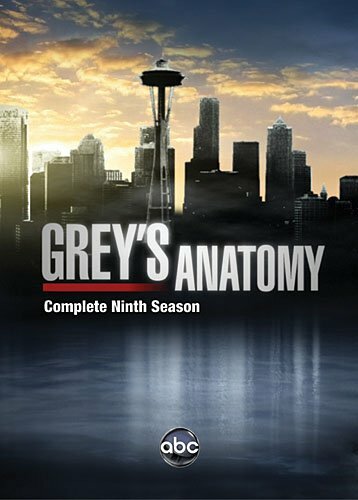 The plane crash that took the life of Lexie Grey sent shockwaves throughout Seattle Grace Mercy West Hospital, but from the ashes, romance will rise with each surgeon handling the loss in their own personal way. Relive every touching moment with all 24 episodes of the latest unforgettable season, plus never-before-seen bonus features, when Grey's Anatomy: The Complete Ninth Season arrives on DVD on August 27, 2013. Talent/Cast:"Grey's Anatomy" stars Ellen Pompeo as Meredith Grey, Patrick Dempsey as Derek Shepherd, Sandra Oh as Cristina Yang, Justin Chambers as Alex Karev, Chandra Wilson as Miranda Bailey, James Pickens, Jr. as Richard Webber, Sara Ramirez as Callie Torres, Kevin McKidd as Owen Hunt, Jessica Capshaw as Arizona Robbins, Jesse Williams as Jackson Avery and Sarah Drew as April Kepner. Bonus Features: Finale Extended Episode - The drama continues to unfold with unseen footage that completes the dramatic ninth season. Spotlight Cast Piece - Jim Pickens, Jr. - Tag along with Jim Pickens, Jr. (Dr. Richard Webber) and learn more about the man behind the surgical gloves. Spotlight Character Piece - Arizona Robbins - From zipping down the halls in her roller shoes to learning how to walk again, viewers will receive a closer look at the hospital's bubbly pediatric surgeon Arizona Robbins (Jessica Capshaw) as she begins to cope with her new life. Deleted Scenes - Catch more of the touching drama through several never-before-seen moments from the hit series. Outtakes - Laugh your heart out with these unseen, hilarious moments from the set.